What a difference a year makes. The second season of Star Trek: Voyager marked a significant step up from quality, particularly once it got away from the season's first messy episodes - hang-overs produced as part of the Season 1 shoot. One key challenge that faced the series in its second year was how to extend its storytelling from a series of self-contained adventures to a more extended storyline that crossed over and developed from one episode to the next. It was a challenge because the core premise of the series is that the USS Voyager is always moving, by-and-large in the one direction, and that makes it very hard to believably bring back the same antagonists or alien civilizations. Voyager's solution? Bring those antagonists back anyway, and hope like crazy that audience doesn't interrogate things too much. Ignore the problem that either Voyager is travelling very slowly or the Kazon Nistrim have a massive territory for a tribe of space pirates, and Season 2's Kazon arc works rather well. It works much better than the Season 1 Kazon episodes because it makes them personal: former Voyager officer Seska (Martha Hackett) betrays the entire crew to the Kazon, and immediately teams up with their leader Maje Culluh (a wonderfully hammy Anthony De Longis). The arc did not lead to too many of the season's best episodes, but it did successfully lift the average up a great deal. The season worked best when it really pushed itself to darker territory: the Voyager is alone and isolated in decades' worth of enemy territory - it should be a harder-edged series than its first year suggested. 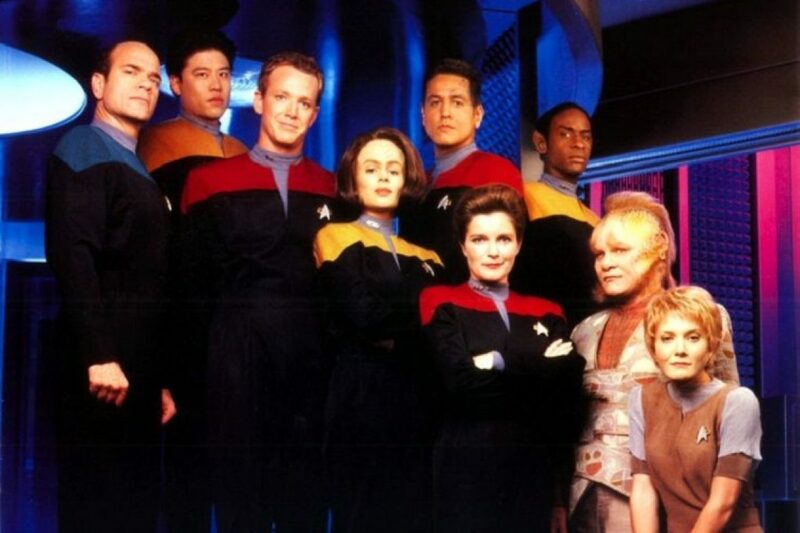 The best episode this year saw characters die, including an entire parallel version of Voyager in "Deadlock". "Meld" introduced a serial killer to the supporting cast, without the expected death of the character (Lon Suder, played by Brad Dourif) at the episode's end. "The Thaw" saw the series make a remarkably solid attempt at science fiction horror. With the good came the bad, notably the poorly-considered "Tuvix" that had Captain Janeway (Kate Mulgrew) commit a murder without any real condemnation of her actions. "Elogium" and "Parturition" just got a little silly and annoying - albeit nowhere near as silly as the impossible-to-hate "Threshold", which saw Janeway and Paris (Robert Duncan McNeill) break the warp 10 barrier and turn into giant salamanders. Overall Season 2 still left Voyager a fair way behind Deep Space Nine is quality, and way behind The Next Generation at its height, but it did entertain a lot more than it annoyed. For those seeking a relatively safe and breezily enjoyable science fiction adventure, it more than sufficed.